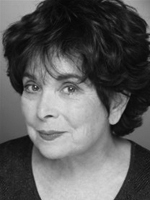 Phoebe Dorin played Penny Hughes on As the World Turns. She also played Antoinette, Dr. Loveless' companion in "The Wild, Wild West". Mandel Kramer worked with Phoebe on “The Sending” and I had the honor and privilege of working with him on many projects for several years before his death. I was a producer at a New York Public television station and Mandy did voiceover work for us on our promos many times. He was a delightful man and a pleasure to work with. Phoebe Dorin was born on June 26, 1940 in New York City, New York, USA. She is an actress, known for The Wild Wild West (1965), You Don't Mess with the Zohan (2008) and Making Love (1982).